Graph from Seattle Times depicting rent growth in the Seattle-area since 1995, with a 6% increase since last year. Have you received a notice of a rent increase in the last year? If you are renting in Washington State, especially in a major urban area such as Seattle, it’s likely that you’ve seen an increase in your housing costs over the past year. We’ve heard from many people on the Tenant Services Hotline that rent is increasing significantly, and even doubling in some parts of the state. Imagine paying $700 for a one-bedroom apartment in August, and then being asked to pay $1,400 for that same apartment in September! A recent Seattle Times article states that rents in Seattle increased nearly 6% in the past year – more than any other major U.S. city included in the study. Now the average rate for a one-bedroom apartment is nearly $1,200 a month. The soaring cost of housing is also drawing attention to the shortage of affordable housing for families, individuals and students, who are forced to spend the majority of their paychecks on housing costs alone. With the trend in major rent increases, we thought it would be a good time to review the laws and requirements for rent increases and rule changes. When can the landlord increase my rent? What kind of notice is required? 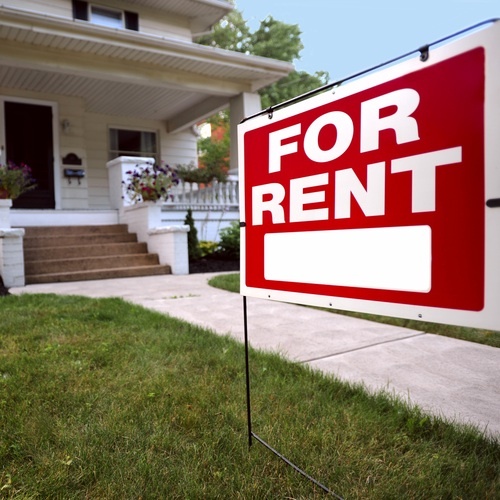 The Residential Landlord-Tenant Act in Washington State has specific laws that address how much notice landlords must give tenants before increasing the rent or making changes to the policies or rules included in a rental agreement. The section of the landlord-tenant laws that address rule changes or rent increases is RCW 59.18.140. Tenants who have a term lease for a fixed amount of time – for example, January 1, 2013 through December 31, 2013 ­­­­– can only be issued a rent increase or change to the rental agreement at the end of the lease period, in our example, after December 31. Tenants who have a month-to-month agreement have the right to at least 30 days’ written notice before the rent increase goes into effect. To increase the rent effective on February 1, landlords should give tenants written notice on or before January 1. The idea is that tenants could still give at least 20 days’ notice – by January 11 – in order to end the rental agreement and move out if they are unable to pay the increased amount. Within Seattle city limits, there are additional protections through the Rental Agreement Regulation, which requires Seattle landlords to provide 60 days’ written notice if the rent increase is more than 10% over a 12-month period. All of the state laws about notice requirements still apply in Seattle as well. This is just an additional protection. Is there a limit or maximum amount a landlord can raise the rent? There is NO rent control in Washington State, therefore there is not a cap or limit to the number of times a landlord can raise the rent in a year (RCW 35.21.830). Similarly, there is no maximum dollar amount or percent increase limit for a rent increase. What can I do if the landlord does not provide me the correct amount of notice to increase my rent? If landlords do not provide at least 30 days’ notice before the increase is to take effect, or if they increase your rent in the middle of a rental period, you may want to address the issue in writing so you are not held responsible for paying the increased amount until you’ve received the correct notice required by law. We have a Sample Letter that may be helpful in starting that conversation with landlords. Keeping a paper trail of documentation is a good idea during this process. If you pay the rent increase to avoid having the landlord illegally evict you for unpaid rent, then you still have options for later recovering that month’s increase where correct notice was not provided. Some tenants have used Small Claims Court to sue for the money paid for a rent increase where the landlord did not provide the correct 30 days’ notice or tried to increase the rent in the middle of a lease period. If you think the rent increase was given out of retaliation­ – for example, you asserted your rights by asking that the landlord make a repair, and the landlord responded by giving you a rent increase ­– then you may want to speak to an attorney to see what your options are. See our Legal Assistance Guide webpage for more information. Where can I find other resources about rent increases and rule changes? Solid Ground Tenant Services is offering another opportunity for renters, housing advocates and service providers in King County to attend a free training about tenants’ rights and responsibilities as laid out in the Landlord-Tenant Laws. Next week, Solid Ground Tenant Services is offering two opportunities for renters, housing advocates and service providers in King County to attend a free training about tenants’ rights and responsibilities as laid out in the Landlord-Tenant Laws. Enter from the lower level parking lot at right set of doors. Whether you are a long-time renter who would like a refresher on landlord-tenant laws, or a new renter who wants to know what your rights and responsibilities are as a renter, we hope you will join us for a workshop! Email questions regarding the workshops to tenantwa@solid-ground.org. The tenant information contained in this article or linked to the Solid Ground Tenant Services website is for informational purposes only. Solid Ground makes no claims, promises or guarantees about the accuracy, completeness or adequacy of the information contained in or linked to its website. Solid Ground cannot act as your attorney. Solid Ground makes no representations, expressed or implied, that the information contained in or linked to its website can or will be used or interpreted in any particular way by any governmental agency or court. As legal advice must be tailored to the specific circumstances of each case, and laws are constantly changing, nothing provided here should be used as a substitute for the advice of competent counsel. Solid Ground Tenant Counselors offer these tenant tips as generalized information for renters. People with specific questions should call our Tenant Services hotline at 206.694.6767 on Mondays, Wednesdays & Thursdays between 10:30am and 4:30pm.